My hair won't stop falling out! 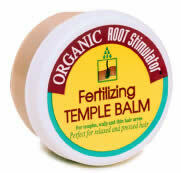 Try Organic Root Stimulator. I don't know if it would help, but folks swear by the products. I use the Temple Gro, they have a Scalp Scrub that helps to stimulate and make your scalp grow. Perhaps it can help. A hair doctor is known as a trichologist. See if you can see another if possible. And I hope all works out. Oh my goodness, how horrible for you... There was an article on a news report here and apparently its quite common, I feel bad that I didnt catch the whole story...But it did grow back..